Jean-Marc, the somewhat timid groom below, was Jean-Pierre’s best friend. He flew to Quebec for Jean-Pierre’s funeral. Jean-Marc married my sister Thérèse. They had lovely girls: Danielle, Anne and Dominique. We lost Dominique, but Danielle and Anne are fine. As for Thérèse, she died of septic shock ten years ago. She and Jean-Marc lived in British Columbia. Last summer, Jean-Marc remarried. His bride is the widow of a friend he lost to a plane crash. Jean-Marc also had a plane, but did not use it after his friend’s fatal crash. He therefore met his new bride when they were much younger. Destiny brought then together again. Her name is Marguerite. Jean-Marc was an excellent husband to my sister and he will be an excellent husband to his second wife. He sold the house where he and Thérèse had lived and moved to his bride’s townhouse. It’s a brand new life. I met Jean-Marc before Jean-Pierre brought him to our house. I went to a figure-skating show. Jean-Marc was the fellow who came from one end of the skating rink, gained speed, and jumped over several barrels, landing gently. If my memory serves me well, barrels were added twice. He would therefore skate back to his starting position, entertaining the crowd, and jump over the barrels again, landing gently. He and my sister were turtledoves and I think it’s happening again. Often, the second marriage is better than the first. Jean-Marc needed a companion. In my opinion, he’s found an angel. I wish them both every happiness. 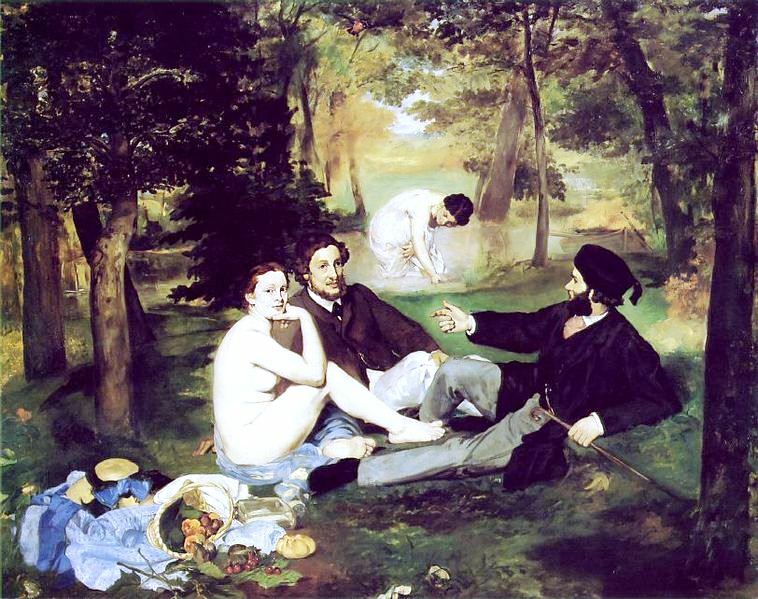 Although future critics may think differently, Édouard Manet‘s (23 January 1832 – 30 April 1883) Déjeuner sur l’herbe, The Luncheon on the Grass, (c. 1863) may well have changed the course of the history of European art, mainly French. It is a representational, à la Gustave Courbet (10 June 1819 – 31 December 1877), rather than an abstract painting. However, it ushered in a revolution. Le Déjeuner sur l’herbe could not be shown at the Salon (founded in 1725), the official art exhibition of the Académie des Beaux-Arts. It was rejected by Academicians Jean-Léon Gérôme (11 May 1824 – 10 January 1904) and Adolphe-William Bougereau (30 November 1825 – 19 August 1905). Manet therefore showed it at the Salon des refusés. Ironically, history was very kind to rejected artists, les refusés. Avant-garde artists had to settle for the Salons des refusés, which was somewhat of a blessing. 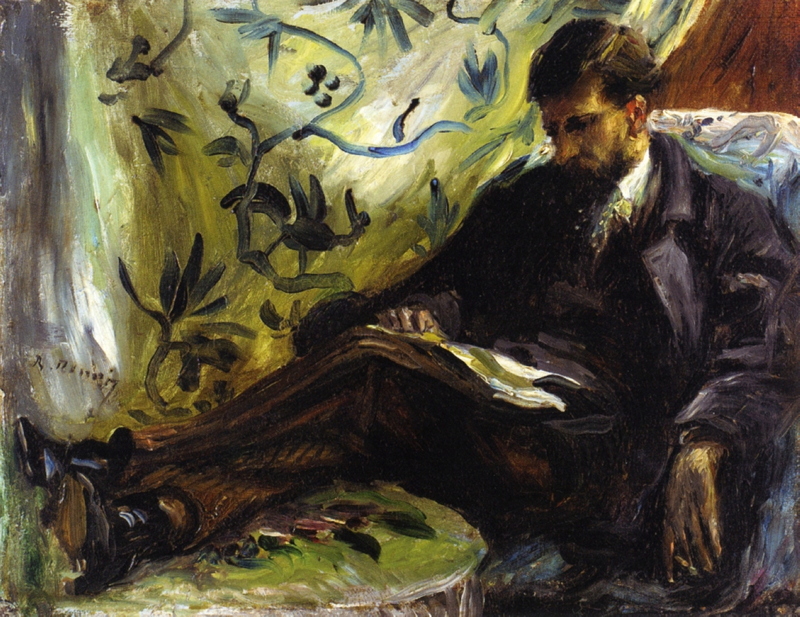 Persons who own works by Édouard Manet, Claude Monet, Claude Pissarro, Paul Cézanne, Pierre-Auguste Renoir, Alfred Sisley, Berthe Morisot, Mary Cassat, Edgar Degas, Henri Matisse, Paul Gauguin etc. were shrewd investors. Americans loved the Impressionists, and other Modernistes. The shrewder investors bought a Vincent van Gogh or a Pablo Picasso. You may remember that Gertrude Stein and her brother Leon Stein bought Matisse’s Woman with a Hat, showed at the 1905 Salon d’automne, a new Salon, established in 1903. Matisse was described as a Fauviste, a wild beast, but he didn’t coin the term. This was “du nouveau,” (something new), to quote French poet Charles Baudelaire. Matisse used unusually bold colours. The Cone sisters were also in Paris at the time. These wealthy American socialites could afford artworks. 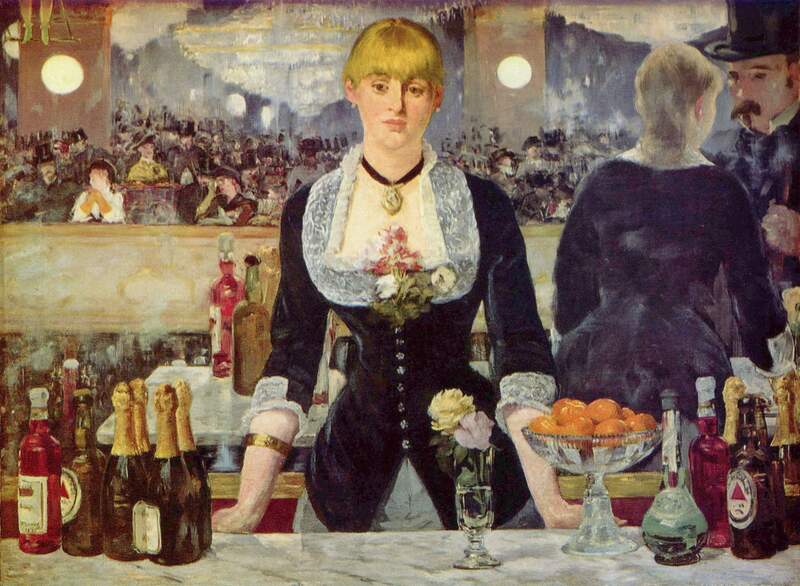 Manet’s Bar at the Folies-Bergère is also enigmatic. Just where is the man? Furthermore, I wonder whether or not the mirror reflects the woman. 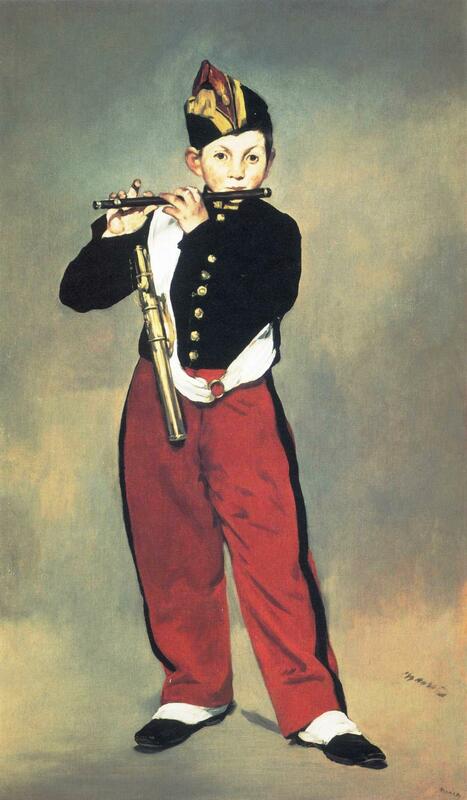 Manet was accused of not knowing perspective, which does not make much sense. (See A Bar at the Folies-Bergères, Wikipedia.) But the newness of the painting may be the depiction of the young woman who seems a foreigner. Her eyes display a kind of bewilderment. The painting could be a depiction of Marxist alienation. 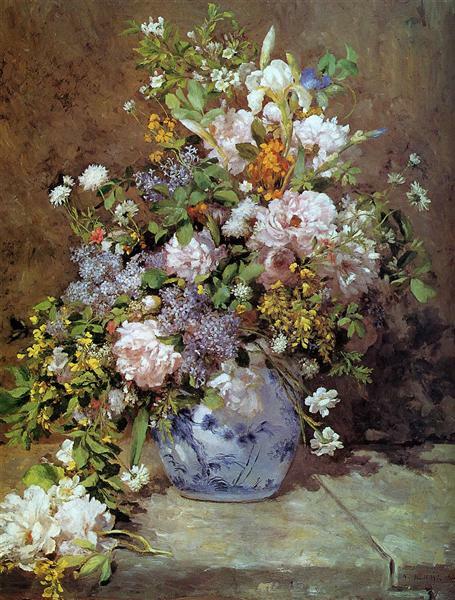 The painting was shown at the Paris Salon, in 1882, at a later date than Le Déjeuner sur l’herbe (1862-1863). 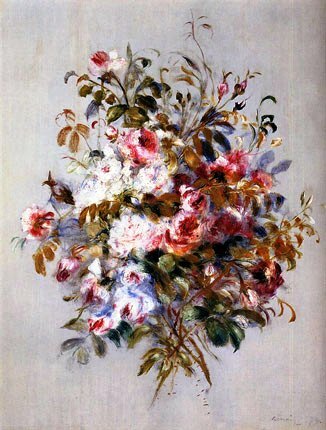 One of my former teachers writes that “[i]n each case Manet takes a ‘standard’ Reality, not only as to content, but also as to form.”[ii] Professor Gowans also states that Manet was teaching other painters and that his work is therefore “didactic.” As for the public, they were not a factor. Also enigmatic is Manet’s Olympia, shown at the 1865 Paris Salon. But it will not be discussed today. [i] Matthew C. Strecher, “Magical Realism and the Search for Identity in the Fiction of Murakami Haruki,” Journal of Japanese Studies, Volume 25, Number 2 (Summer 1999), pp. 263-298, at 267. [ii] Alan Gowans, The Restless Art, A History of Painter and Painting 1760-1960 (Philadelphia and New York: J. B. Lippincott Company, 1966), p. 190.